Mutual Coordination Economy is a phrase and idea that arose from the P2P Foundation and their Mutual Coordination Economics Working Group. This essay explores how the coordination signals used in current capitalist supply chains might be transformed for such an economy. I will look at the coordination signals used by the most advanced capitalist supply chains, and suggest how those signals could be useful for a very different, non-capitalist, social-economic system based on human and ecological needs. And suggest some even more advanced coordination signals that could be used for that more advanced system. I confess that I am out of touch with the most advanced capitalist supply chains. My experience was in the 1990’s, when the current understanding and practices of capitalist supply chains were undergoing rapid change and development. They have continued to change and develop, and for understanding the changes since 2000 or so, I am dependent on published articles, some of which are listed in the references at the end. If you want to know a lot more about supply chains from the viewpoint of globalized commerce, check out Logistical Worlds. Toward the end of these notes, I will suggest how we can start to implement a mutual coordination economy composed of existing organizations. Michael Linton comments that Demand Chains are also important: supply chains are only part of the total economic ecosystems that a capitalist company is enmeshed in. So before we consider a mutual coordination economy, we will look at those ecosystems and how they shoot themselves in both feet in capitalism, so we can think about how we can do better. Before we get too deep into technology, I want to emphasize that the technology of coordination signals in economic networks is necessary for a mutual coordination economy, but it is not sufficient, nor is it even the main requirement. The main requirement is boots on the ground: live people organizing together in mutually-beneficial production and distribution networks that take care of their daily lives and their ecosystems. So in many ways, coordination signals are only part of the story. 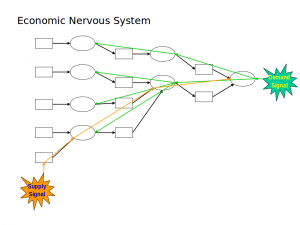 While the most common demand signal is probably a customer order, and the most precise demand signal is probably a point-of-sale event, I will focus first on something else that is starting to be called “Demand Sensing”. Demand sensing technology has already been adopted by companies that are recognized as having the most progressively managed supply chains. Indeed, investments in demand sensing solutions are growing more rapidly than supply chain spending in general. According to an IDC Marketscape assessment of sensing and planning vendors published in September 2013, demand sensing initiatives accounted for 8.5 percent of supply chain spending in 2013, and are expected to reach 8.7 percent in 2015. Often recorded by a bar code reader at a checkout counter in a retail store. Or a shopping cart checkout at an e-commerce store. The POS event means somebody bought something, and it no longer exists in inventory. If it is a repetitively-purchased item, the seller might want to replace it. The manufacturer might want to make more, and obtain all the required components and other resources so they can make more. A supply signal could mean that something went wrong with an expected input to an upstream process. These are not used a lot in most commercial supply chains, maybe because it would require the supplier to admit that they had a problem. Supply problems may require reactive replanning. Reactive replanning was implemented by NASA for the space shuttle, and became a commercial product called Red Pepper, which was bought by Peoplesoft, which was bought by Oracle. It was brilliant but expensive and difficult to implement. They wrote a book about it. Since then, several other commercial products have emerged. Reactive replanning is also used in game software: according to the wikipedia article, Creatures is an implementation of reactive replanning. But regardless, in material production, it’s often best done by humans using good old human judgment, or at least by software that keeps humans in the loop. The signal is useful to them, too. The HL7 a semantic interoperability standard used for healthcare administrative data. 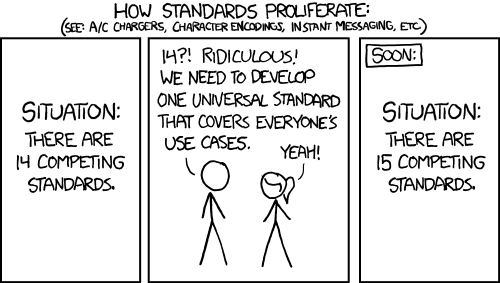 In the 1990’s, as global commerce grew and US companies needed to exchange electronic documents between the US and the rest of the world, some projects began to try to develop, as the cartoon says, “one universal standard that covers everyone’s use cases”. I worked on ebXML, and joined with some other people at the time to propose that we should just adopt RosettaNet and be done. Needless to say, that proposal was not adopted…I can explain why in gruesome detail, but it all boiled down to capitalist competition. So those two joined the other competing standards, because companies continued to use all of the others listed above, as well as proprietary standards for large supply chains like Walmart’s. To handle the competing “standards” that a single company might need to implement, Value Added Networks emerged to translate between them all. So, while EDI started out P2P, it became increasingly centralized, although in several VAN suppliers rather than a single center. The demands signaled by customer orders and point of sale events are for end products that might be created from several layers (called “tiers” in supply chains) of components and suppliers (thus the phrase “supply chain”). The signals for end items need to be propagated through all of the dependent components (and production organizations) until they reach something that is on hand and available. That propagation is done through bills of material and work breakdown structures. The direct propagation of the end product demand (the “dependent demand explosion”) may stop when it reaches a component that is on hand and available. That is known as the Material Decoupling Point. The supply chain is often planned and organized so that this decoupling point happens where the component that is required either has a long lead time, or large capital requirements so that economies of scale apply. Another decoupling point may happen deeper in the supply chain, called the Information Decoupling Point, because even if the demand signal does not require immediate action by a supplier, the information may be useful for planning. See the current P2PF article on Distributed Car Manufacturing and Sustainability. Or, how capitalist supply chains defeat themselves. Capitalist supply chains and economic ecosystems generate surplus value (think: profit!). A competition emerges from the participants in these networks to capture more of the surplus value for themselves. This competition often degrades the performance of the supply chain or ecosystem as a whole. When I was working on commercial supply chains in the 1990’s, we used to say, “the best supply chain wins, not the best individual company”. The other thing we found was that the individual companies often get in the way of the best supply chain performance. The supply chain signals are actually P2P coordination messages between the people in one node in the supply chain and the people in the neighboring nodes. Often between people who are responsible for material requirements management for a production department, sometimes between line workers who make and use components. For example, in a Bosch auto parts plant where I worked, the people on the fuel injector line had close relationships with the people at the auto assembly plants who put the injectors into engines. And other lines in the auto parts plant had close relationships with the people who used their parts. Those would often be closer working relationships than with the people in the same plant who worked on different production lines. Inside the plant, people worked off kanbans, which were probably the original supply chain P2P coordination signal. Sometimes kanbans were used between one plant and another, in the form of labeled tote pans which were sent empty from the consuming plant to the producing plant who would fill them up and return them. A prime example of supply chain self-damage: Dell computers, which used to be touted as having a great supply chain, kept pushing their inventory problems upstream to their tier one suppliers. The result was that Dell lost adaptability, because their tier one suppliers (the first leg in their supply chain) were not adaptable, because they had burdened themselves with Dell’s inventory problems. Dell’s production system applies principles of lean manufacturing and just-in-time (JIT) production that were first employed by Japanese manufacturers such as Toyota, and have been applied extensively in the U.S. PC industry. These principles aim to minimize parts inventories by requiring suppliers to restock parts only as they are needed, and often to maintain ownership of parts until they are used. In effect, the PC company is pushing the upstream inventory problem onto the suppliers, a practice that is viable at least for larger vendors who have the clout to make such demands. transactional-cost framework was used to assess how firms capture value (see Adner and Kapoor, 2010; Chatain and Zemsky, 2011). Yet, new forms of networks, called ecosystems, are neither firm- nor market-centric and require a novel multilevel analysis of value creation and capture. Ecosystems are defined as the third pillar of organizational theory, and they need to be addressed differently from markets and hierarchies (Moore, 2006). Many authors are suggesting new ecosystemic methodologies and metrics to evaluate ecosystemic health (performance) (Kanter, 2012; Wieland et al., 2012). The new metrics make it possible to go beyond traditional economic firm-centricity and short-term vision to grasp social and community-based value. The results clearly show that the shift from supply-chain logic (firm value creation) to ecosystem logic (ecosystemic value co-creation) can be difficult and challenging. More specifically, direct competitors rarely behave as partners or complementors, especially when there is no ecosystem leader and coordinator to leverage ecosystemic capabilities. building a sustainable social community. In the present case study, ecosystem creation was based on building collaborative high-tech labs but without leveraging a social strategy to promote value co-creation. The uneasy transition from supply chain to ecosystem failed to deliver the expected ecosystemic value. But that’s only looking at the companies that participate in a business ecosystem. What about the workers? The fabled just-in-time inventory systems and increasingly precarious and haphazard work schedules required for optimum company profits raise hell with individual and especially family lives. See stories about Amazon warehouse workers, for example. This is not to mention the total ecosystem, the air, water, soil, flora and fauna around the business ecosystem. Do we all live here, and do they all live here, or is the money the only thing that matters? Let us propose that demand signals for a Mutual Coordination Economy will be driven by human and ecological needs, based on use-value, and not on needs for profit, based on exchange-value. How will those signals become known? 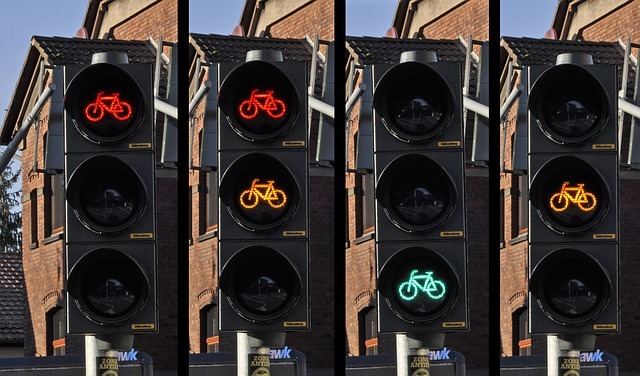 Certainly point-of-use signals can be captured somewhat as they are now. They will signal that somebody has used something, and if it is a repetitively-used item, should be replaced. Summarizing use events over time is a good basis for longer-term planning (for example, the farmer plans what to plant next year based on what people ate this year). But think about the counterparts of demand sensing in terms of sensing human and ecological needs. Population density alone signals a constellation of human needs and possibly ecological dangers. New births, deaths, movements of people, all become signals of incipient human needs and ecological effects. Facebook, Google and Amazon now mine people’s searches and statements online for signals of demand, aiming to sell you something. But those same kinds of signals could be used to forecast human needs more toward a sense of the common good. Ecological needs could come from human representatives of bioregional beings in a bioregional planning system, or in a more advanced bioregional system, they could come from Emergy Accounting. In other words, a Mutual Coordination Economy can work from a much richer set of need signals and need-sensing than a capitalist economy can handle, because capitalist demand signals must have money attached. And Mutual Coordination Economy signals should not need them. Each of those signals will have to be linked to its dependent needs (what it takes to satisfy the need that was signaled), which then will become signals of need for whatever process can satisfy the dependent need. If no such process exists, then that will become a signal to organize such a process. Those dependent needs might be decided by bills of material or work breakdown structures, just like the capitalist supply chains, but they may require a lot more social analysis. Re social analysis, we need to figure out some of the implications of our policy decisions (the dependent demands). So, for example, if we want more small fishing boats, how do we get them? Most of the small fishing boat builders have gone out of business. What will be required to create new fishing boats? And new fishing boat builders? And where are the all the sustainable fishing boat crew members we will need? They have retired and their children want to be something else. What will be required to recruit and train new fishing boat crew members? The story about Nova Scotia fisheries in the preceding paragraphs is real. It comes from this plan which resulted in this organization. The plan and the organization are examples of thinking in bioregions, and understanding that the human economy is part of the bioregional ecology. Here’s another example of a group that is working on what they call Socio-Ecological Enterprises. Many existing organizations are conducting bioregional analyses, usually focusing on the natural ecosystem, often disregarding the human economy. For example, Conservation Biology Institute (CBI), a non-governmental organization. CBI’s tools are open source, too. Many of these organizations, like CBI, are happy to collaborate. I think most ecological needs are best analyzed bioregionally, not globally, although climate change is one obvious exception. A Mutual Coordination Economy needs to take ecological needs very seriously, or its idea of mutuality is way too limited. The disconnect between the business economy and the natural ecosystems is a feature of capitalism. Profit usually requires disregarding “externalities” as much as they can get away with, and analysis of the natural ecosystem is relegated to academia and nonprofit organizations that stay in their assigned and harmless places. The P2P Foundation (and others) propose a Bioregional State, which seems to be the correct idea. 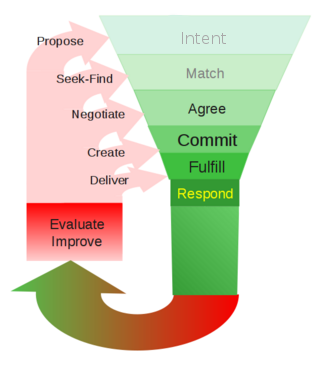 An Intent is something you want to provide (an offer), receive (a request), or do collaboratively (a proposal). Intent-casting is a term that was popularized by Doc Searls of the Vendor Relationship Management (VRM) community. He describes it as “casting your interests to the world”. The idea is emerging within capitalist relationships, but is also being taken up by communities that are trying to transition out of capitalist relationships: for example, Mutual Aid Networks. And VRM is itself a symptom of changing relationships within capitalist supply chains. Intent-casting could only happen on something like the World Wide Web, and is enabled by the Web and social networks. We are working on vocabularies and protocols for intent casting in the Value Flows project which is the focus of the last section. Intents might find mates: an offer might find a request, and proposal might find collaborators. If so, the participants may start a conversation for action, which was a protocol that emerged from the Cybersyn project. This could be one of the ways to self-organize the various projects we think should be inter-networked to start to evolve a mutual collaboration economic system. “Money-go-round” is Michael Linton’s catchy phrase, and a lot of this section was inspired by and quoted from this essay of his. I’d personally like to get rid of money altogether, but here we are in this transitional stage where we need to handle it better for all concerned. Money-go-rounds (circulating money and other resources within a community over and over) makes a community more sustainable. Even after we get rid of money. “What is light is global, and what is heavy is local”: this is the new principle animating commons-based peer production in which knowledge is globally shared, but production can take place on demand and based on real needs, through a network of distributed coworking and microfactories. Certain studies have shown that up to two-thirds of matter and energy goes not to production, but to transport, which is clearly unsustainable. A return to relocalized production is a sine qua non for the transition towards sustainable production. So according to that principle, local (or bioregional) resource circulation will be increasingly important in a mutual coordination economy. Let’s say the community has at least 50,000 people, and the per capita per year is over $20k – so people here spend at least $1b a year. Just round figures. To keep the flow of stuff coming in – food, energy, products, services, entertainments, etc etc – we need to spend money out. Think of the import cost % in gas, groceries, hard goods, financial services (sometimes VISA is 3% or 4% in itself), think of on-line sales, think of vacations, think of taxes. Sorry if that hurt. It’s easy to see how $700m of the $1B is out of town on the first bounce. In $1b annual spending by local people, maybe $300 million returns to people through local wages, salaries, rents. The rest got sucked away, off to do other business, somewhere. So, just to keep up with ourselves we have to have income from somewhere. Literally, we have to sell out, in some way or another, to the tune of $700m a year. For every dollar of local exchange, it seems we need two dollars of in and outflow, of import and export. That’s how that money generates and perpetuates real unsustainability. For sustainability, we need demand cycles, chains of connection that go round and stay around. That’s what the money-go-round does. Here’s the same idea explained by Ken Meter and Megan Phillips Goldenberg in their Critical Analysis of Economic Impact Methodologies. In Exploring Economic and Health Impacts of Local Food Procurement. Impact calculations are often posed as an economic “multiplier.” The multiplier is a measure of how many times a dollar earned in a given geographic area cycles through that locale before it leaves. At minimum, a multiplier must be 1.0. This would mean that each dollar of new revenue leaves the community immediately. Tribal reservations often have multipliers close to one since residents typically have so few choices for buying locally produced goods and services. If the multiplier were 2.0, this would mean that for each dollar of new revenue one additional dollar is spent at another local business — a total of two dollars. A region of small farms and businesses that buy many of their essential goods and services from each other, and are closely connected socially, might enjoy multipliers as high as 2.6. Some rural advocates claim that a dollar earned by a farm cycles as many as 7 times through the overall economy. This may have once been true (definitive studies of this are lacking), but if this were true, it has not been since 1950, when increased use of mechanization and purchased inputs created dependence on external suppliers, reducing local multipliers. In a very real way, a multiplier is a measure of the local economic context and its level of connectivity, more than a measure of the change in income itself. The more local firms and residents are interconnected, and trading goods and services with each other, the longer a dollar is likely to cycle through the region, and the higher the multiplier. And all of these go-rounds would best be based in a bioregion. Value Flows is a set of common vocabularies to describe flows of economic resources of all kinds within distributed economic ecosystems. Purpose: to enable internetworking among many different software projects for resource planning and accounting within fractal networks of people and groups. Or, if that is too many buzzwords, “let’s help a lot of alternative economic software projects that are solving different pieces of the same puzzle be able to work together”. and can interconnect a Mutual Coordination Economy. Moreover, its vocabulary will be native to the World Wide Web, which is not true of any of the competing EDI standards. The Value Flows project is one example of a step that can be taken now (is being taken now) to create a Mutual Coordination Economy from a network of existing P2P economic projects. It could be succeeded by some other project with similar goals: projects come and go. But the difficult work is getting the various P2P economic projects to adopt it, or something like it, and to actually coordinate themselves into a global P2P economy. We have proofs of concept of the model and logic that the Value Flows project is working on, such as the Sensorica Network Resource Planning and Value Accounting System. That system works as a proof of concept, but it is the wrong architecture for a P2P economic system (it’s a monolithic platform, while a P2P economic system needs a protocol, not a platform). Sensoricans are experimenting with Ethereum for a different architecture to run on a blockchain. 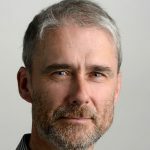 I am skeptical about blockchains, for all the reasons you can read about in Daniel Harris’s article Reasons why I dislike some aspects of The Blockchain – tell me I’m wrong please. Ethereum, like the Bitcoin blockchain, is a platform. Everything needs to buy into and run on Ethereum to interoperate. We are experimenting with a different architecture called Patchwork, built on a protocol rather than a platform, which you can read about in this documentation. But if that turns out to be too limited, we will run on the open Web: the Value Flows vocabulary is defined using Semantic Web techniques. It does not need anything beyond the Web to run. IndieWeb techniques can take it from there. Assuming anybody wants to start now: it’s time to experiment. An alert reader will understand that the list below is a thought experiment. I don’t know how much of it will work. But I am working on it. Identify likely candidates: boots-on-the-ground production and/or distribution organizations who are dedicated to economic transformation. TransforMap could help. Request that each of them nominate ambassadors to engage with the other candidate organizations. Get acquainted, cross-fertilize. Find likely existing experiments in technical infrastructure that could accommodate coordination signals: for example, Ethereum (I know I dissed it above, but I could always be wrong, and I know people who are experimenting with it in compatible ways) and Patchwork, which I will be experimenting with. And Indie Web and Semantic Web techniques. And Mutual Credit FairCoop’s FairCoin and FairMarket experiments fit in here, too. And so does Matthew Slater’s Credit Commons proposal. Ethereum, FairCoin, and other singleton blockchains are like VANs: they claim to be decentralized, but you and your partners are all dependent on their blockchain infrastructure. I’m also looking at D-CENT, another blockchain framework that seems more comprehensive, and comes with recommendations from people I trust. But I don’t know much about it myself yet. Patchwork is more like a federation, but will still somewhat limit your connecting-software choices. Ceptr is another possibility, but it (like Patchwork) is immature. Request that the ambassadors connect with all of the cooperating candidate infrastructures. They could start with Intents, and circulate them along all of the candidate infrastructures, and match intents among the on-the-ground organizations. And evolve from there into actual resource transfers. Use the Value Flows vocabulary to communicate between whatever systems each organization is using internally. The Value Flows gang can help. Collaborate with, and incorporate the work of, existing bioregional ecosystem organizations. May the best infrastructure(s) win! But the point is not the infrastructure, the point is to internetwork the organizations. 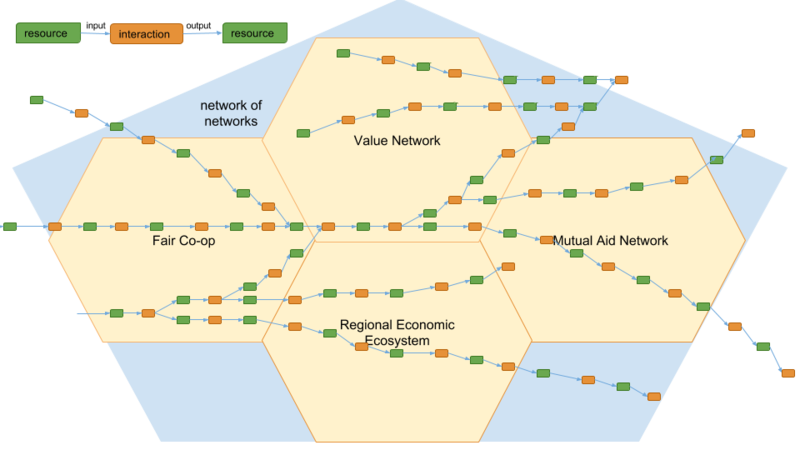 The idea here is to keep the resources going around and around in the interconnected communities, triggered by signals of need or intent, to make the mutual coordination economy come to life. What is missing is the interaction between the stigmergic interaction of production communities and their entrepreneurial coalitions, with the level of democratic planning ..
Democratic councils set limits and priorities as well as conditions for investments. The ethical market sector and productive communities can get this funding for projects that are aligned. They mutually coordinate activities through open supply chains and accounting and have deliberation mechanisms to increase mutual coordination. A meta-level intervenes in case of structural imbalances that cannot be solved by these grassroots coordination levels, which is also feedback for the next iterations of democratic planning. Since nobody else wants to criticize this article, I’ll do it myself. The How to Start section above is too big a leap from where things are now. New infrastructure is not yet necessary. Other steps are easier in terms of adjacent possibilities. Groups that I know well are reaching out now through the existing social media and bringing new people into their network, and finding sponsors for projects through (for example) academic connections. That’s all good, and helps them grow, but does not yet give evidence that we are all building the same system. But some of them are also connecting with other projects in their own domain, which could lead to the larger set of connections outlined in the article. Those connections can also be made through existing channels, not requiring new infrastructure. Making the connections between different groups in the same or similar domains right now is more important than new infrastructure. After that, across domains. New infrastructure, whenever it becomes a forced move. Maybe a little bit more background, for people like me with little background in supply chains, would help — addressing the question, What are supply or demand signals for? Do I have the right general idea? To enable coordination of supply and demand; so that what is needed is supplied at an appropriate time, rather than people not being able to get what they need when they need it; and what is produced is consumed while it is useful, rather than being wasted or spoiled, or tying up resources by sitting unused as excess stock. Where is the balance between transparency and privacy in these kinds of transactions, particularly when individuals are involved in them? How can all that information be effectively filtered in a way that commoners can use easily? What parts of the signalling system do online P2P marketplaces (like eBay) provide — i.e. which requirements already have workable solutions, and which do not yet? Is there any difference between the concepts of “mutual coordaination economy” and “commons economy” and “collaborative economy”? Can this functionality be generalised to be even more useful to commoners and the commons economy? I have a real curiosity about whether the kind of supply and demand matching needed in industry generally, and the kind of matching in e.g. recruitment, could be seen as variants of one another. If they can, it might open the way to a great simplification from the user’s point of view. That’s one of the things that commoners need — simplicity. > What are supply or demand signals for? > Do I have the right general idea? To enable coordination of supply and demand; so that what is needed is supplied at an appropriate time, rather than people not being able to get what they need when they need it; and what is produced is consumed while it is useful, rather than being wasted or spoiled, or tying up resources by sitting unused as excess stock. Regardless, those are among the signals that are being called “demand sensing”. I’m suggesting for a better economic system we could add a lot of ecosystem signals (for example) that don’t matter to e.g. Amazon. > Where is the balance between transparency and privacy in these kinds of transactions, particularly when individuals are involved in them? That’s a great question. (Which I think is what you say when you don’t really know.) I think minimally anonymizing, depending on the situation. But I’m also writing this assuming a different economic system and something like the P2P Foundation’s “partner state”, rather than the current surveillance capitalist intelligence apparatus. My goal in writing was to suggest that a better economic system is not only feasible but could actually work better economically and especially ecosystematically, as well as being more humane. I am obviously handwaving at a lot of the details. Your equally good questions about some of the details will need to be answered if and when we start to develop such an economic system. I know how you feel. But some stuff is just complex. Counter-intuitive. You have to live with and study it for years, a lifetime, generations. It’s the illicit yearning for simplicity that gives us Donald Trump as US Presdient, and Brexit? We came up with the best portamento for this at a Guerrilla Translation meeting: “Simplexity”. We need the underlying complexity for adaptability and modularity… but we can also have streamlines interfaces that don’t overwhelmed.